TSPSC CDPO Answer key 2018: Telangana State Public Service Commission (TSPSC) has successfully conducted the Child Development Project Officer (CDPO) Examination on 4th January 2018 across the Telangana state. A huge number of hopefuls applied for Telangana CPDO posts have appeared for the examination. All the competitors waiting to download TSPSC CDPO Answer Key 2018 PDF since from the examination has been completed. Candidates, those have competed for the CDPO examination can now download the answer keys/ question paper solutions from the TSPSC Official website, tspsc.gov.in. the Telangana PSC has made available of TSPSC CDPO answer key 2018 for all sets from 9th January on its official portal. Hence aspirants can download TSPSC CDPO answer key for the corresponding set and can calculate the probable score in the examination. Candidates can file the objections from 11th January to 17th January. TSPSC has conducted Written Examination for the above notification on 04/01/2018. The Preliminary Keys of these exams will be available on TSPSC website from 09/01/2018. The objections on the Preliminary Keys will be accepted online on TSPSC website from 11/01/2018 to 17/01/2018. Candidates are advised to note the above dates and submit their objections through the link provided. Objections received beyond 17/01/2018 will not be considered at any cost. For further details please visit www.tspsc.gov.in. 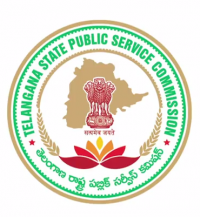 Telangana State Public Service Commission has recently issued the notification for 68 posts of Child Development Project Officer / Additional Child Development Project Officer in Women Development and Child Welfare Department, vide Commission’s Notfn. Many of the desirous aspirants wishing to get state government job in Telangana state have applied for CDPO and ACDPO posts. The screening of the candidates will be done through written test and interview rounds. TSPSC has organized the written test on 4th January 2018 across many examination centers of the state. The Telangana State Government has organized examination for a large number of candidates competing for CDPO posts. All the candidates can Download TSPSC CDPO Answer sheet 2018 PDF is now accessible to download from the official portal, tspsc.gov.in. After downloading the answer key, they can calculate the score by comparing the answers with the corresponding set such as A, B, C, D. Hence by they can know whether they can qualify the test or not. Candidates qualified in the test will have to face the interview round. The Telangana PSC is going to release the CDPO result, cutoff marks, and merit list within 3-4 weeks from now. Candidates have to acquire minimum cutoff marks as specified by the TSPSC to shortlist for the next round, personal interview. The TSPSC is going to release the list of qualified aspirant’s names in TSPSC CDPO merit list 2018. Aspirants can keep checking through the TSPSC Official website, tspsc.gov.in to download the result, cutoff marks, and merit list. TSPSC CDPO Answer key 2018 Link appears in this section. Click on the link.